Does your daily to-do list feel like it goes on and on until it makes its way into tomorrow’s list? If it does, you’re not alone. There’s so much to do every day it’s easy to replace productivity with being busy. But, just because you’re working doesn’t mean you’re getting the right work done. To be productive and reach your biggest goals, you need to know how to prioritize. A lack of prioritization leads to constant work but little accomplishment because it means you’re focusing your time and energy on tasks that aren’t priorities. In the end, you’re left feeling tired, stressed, and likely disappointed that you aren’t reaching your goals, but this is all avoidable. We know that you have a lot going on and you’re great at what you do, so to help you reach all your goals we’ve got what you need to know about how to prioritize, right here. How to Prioritize Work When Everything Is #1? In today’s world of busier and busier schedules, understanding how to prioritize is the secret to success. If you’ve ever felt like there aren’t enough hours in a day to get everything done, then you’re in the right place. The key is that you don’t have to get everything done in a day, you just have to learn how to prioritize. Before we dive deep into prioritization and show you how to prioritize when everything feels important, let’s cover some key components of how to prioritize. More often than not, people are busy but not actually productive. A huge step in learning how to prioritize is understanding that not all work is equal. To boost productivity, you need to focus on what helps you grow. Whether it’s personal or business goals, determine the key drivers of growth that will push you towards your goals fastest and most effectively. Then always prioritize the tasks that most directly impact this growth. Chances are that while deeply considering the themes of growth for your personal and business goals, you’ll realize there are some tasks you need not focus on or even do at all. To successfully learn how to prioritize you need to know to always do the hardest thing first. It’s tempting to push harder tasks aside and leave them for later, but this is not the way to go about productivity. When you do the hardest thing first, you get it out of the way, tackle it when you have the most energy, and start your day with a sense of accomplishment. When the hardest task is completed, you can breathe easy knowing the rest of your day will be easier. The relief and accomplishment that will come from having your hardest to-do completed will fuel you for getting through the less difficult tasks. Unexpected work, last minute deadlines, or out-of-nowhere meetings happen, so when you think about how to prioritize keep flexibility on the mind. Being flexible will help you manage the unexpected aspects of life while still focusing on completing the tasks you’ve committed to. Work often takes up the amount of time allotted to it, so when you take on a task, especially one you perform often, determine how long the task will take and give yourself a deadline. Setting deadlines for yourself will help you get things done much faster, so instead of spending four hours on something that could have been finished in two, you’ll be finished and on to the next task. Keeping these foundations for how to prioritize in mind, let’s dive into prioritizing when everything is important. Before you can start on how to prioritize, you need to know what you’re prioritizing. Make a list of everything you need to get done in a day and don’t worry about the order. This step is just to give you a clear idea of everything you have to do. Once you’ve got all your tasks in front of you it’s time to identify which tasks are urgent and which are important. Urgent means work that absolutely has to be done by the end of the day, the work that comes with negative consequences if not completed on time. Everything else can be labeled as important. If during this step you find that some items aren’t necessarily urgent or important for the day, leave them for tomorrow. Once you have your list of urgent vs important tasks, it’s time to first focus on urgent tasks because they are more time sensitive. You’ll likely have multiple urgent tasks so you have to determine the value of each one. A good way to determine the value of a task is by focusing on clients or customers before starting on internal work. That means a client deadline is more valuable than creating new product ideas and answering customer service tickets is more important than creating new training guidelines. Another effective way to determine the value of a task is by considering how many people will be impacted by it. The more people involved or affected, the more urgent the task. Once you’ve determined what your most urgent and highest valued tasks for the day are, it can still be tricky to know how to prioritize and where to start. It’s effective to consider how much effort each task will take. Start with the tasks that will take the most effort, remember as we mentioned before it’s best to tackle the hardest tasks first. Now that you know how to prioritize and the important steps to getting the most important work done, you can use these prioritization methods to make it all a little easier. When you have many tasks to complete that all feel like they are just as important, it’s useful to have a go-to prioritization method. Brian Tracy’s ABCDE method is great for prioritizing work when you have multiple tasks with similar priority levels. For this method list all of your tasks and give each item a letter from A to E, with A being the highest priority and E the lowest. Then for each item marked with the letter A, assign a number and continue until each item has a letter and number. Once each task has a latter and number assigned to it, get to work. You can’t move on to the next letter until the previous letter is complete. This simple method gives each task multiple layers of prioritization, really showing you what matters most. The last method for how to prioritize comes from super successful Warren Buffett, so you’ll definitely want to try this one out. The premise behind this method is that it doesn’t matter how hard you work if you’re not working towards the right goals. For this method of how to prioritize, make a list of your top 25 goals. These goals can be career goals, personal goals, education goals, etc. After you’ve got them all down, circle your top five goals and only focus on tasks that move you towards those goals. Forget about tasks that don’t relate to your top five goals, these are tasks that seem like priorities but aren’t moving you towards your main goals. Whatever your big goals are and whatever important daily tasks you have to tackle you’re now equipped to crush them all. 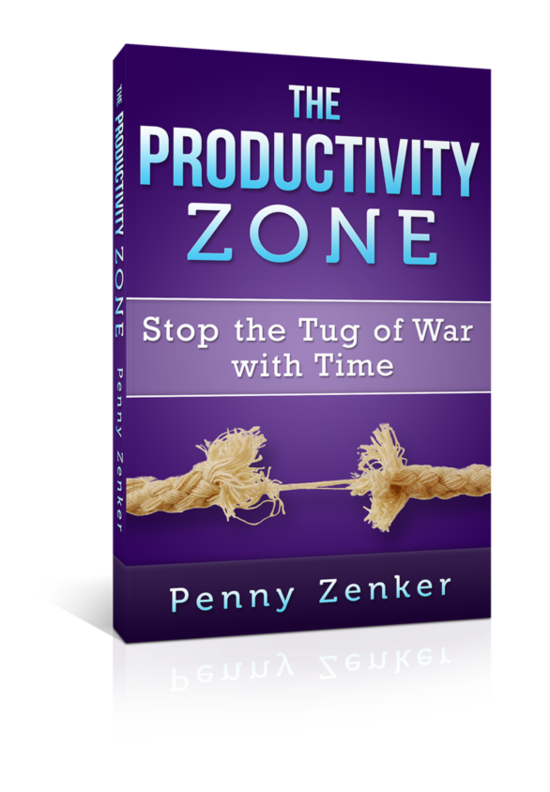 It’s time to replace feeling busy with being productive and achieving the success you deserve. Through knowing how to prioritize you can leave the busy work behind and focus on what matters.